There are keys that will unlock a world-wide harvest, blessing and multiplication, but they are seldom used. God is revealing them again! Just as different keys open up different doors, the Apostle Paul understood this. He himself a descendant of Hebrew people and learned in the Hebrew Scriptures, was able to take this knowledge and revelation and bring it into the New Testament Covenant. The results were unprecedented. What was Paul’s secret? What did he know that most don’t know today? How did he minister to Jews and Gentiles alike and shake the foundations of the ruling empire of the day? Paul knew that if he would first be a blessing to Israel then his ministry to the Gentiles would be magnified a thousand times greater than if he would not. When a ministry reaches out to the ancient people of Israel (Jews), it causes a supernatural tidal wave of blessing and harvest in the Gentile world. When a Jew gets saved, it accelerates worldwide salvation, open doors and harvest. But why… ? There is a two-fold "Great Commission" ~ The Bible tells us to… "Go into all the world, preaching the Gospel, and then the end will come" (Matthew 24:14). So therefore most people think that if we target every Gentile nation with the Gospel including the last un-reached nations that this will then trigger the return of the Messiah… and then somehow Israel will be saved at the end. The problem here is that it is only half the truth. It is a slow route that we as Christians have chosen to take. Even if we reach every nation on earth but fail to reach out to Israel and the Jewish people (His brethren) the Messiah cannot return! Here Yeshua (Jesus) is talking about Israel and the people of Jerusalem (His brethren – the Jews) right after He prophesies to the Jewish people in Jerusalem. 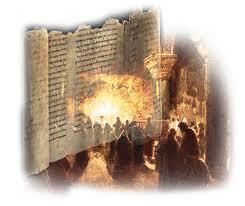 The Messiah will not return until there is a remnant of Jewish people asking Him to come back! The Gentiles have the Key… but are they willing! The Bible clearly says that the Gospel is to the Jew first (Romans 1:16). When we understand this principle it brings blessings. God was not saying that the Gospel will come to the Jew first, and then later in history it will come mainly to the Gentiles until His return. NO WAY! We must know that the Gospel is ALWAYS for Israel and in fact to be shared with the Jew first. This is God’s preferred method for the world. This means praying for and blessing Israel and to love them in such a way that we make them jealous for the Gospel. After all, Yeshua our Jewish Messiah went to them first… and this was God’s strategy… He chose to bring the Messiah out of the Jewish people. Not that Israel or the Jews are more special, for God loves all nations and now He uses Gentiles and Jewish believers to bring them back in! We, Christians owe a debt to the Jewish people and Israel for bringing us the Messiah, and to the twelve apostles who risked all to bring the Gospel to the Gentiles. Paul wept before God for the Jewish people (Romans 9:1 - 4)… just as our Messiah Yeshua (Jesus) did, wanting to reach His own people the Jews! Such was the dept of Paul’s love for Israel and the Jewish people that he was willing to go to hell if that would save the Jewish people. Paul went to the other extreme as he started to reach nations with a passion, evangelizing, planting churches, and ministering to the other ends of the world. To magnify his ministry to the world, he always reached the Jew first! God sets before us two paths, blessings or curses (Genesis 12:3). Let’s choose the blessings of God and align our lives with God’s purposes for His covenant people, land, and nation. Since Abraham God has chosen the Jewish people to steward the keys and oracles of God, and from them would come the Jewish Messiah, Saviour of the world. God showed Jewish prophets keys and patterns that open up the heavens on the earth. When we connect to these ancient pathways and patterns, we too will see the glory of God unleashed in ways that have never happened before. That is why it says, "Salvation is of the Jews" (John 4:22). The twelve apostles became carriers of glory that has spread to the entire known world today. The Hebrew Scriptures were available but Yeshua (Jesus) brought back the revelation of how to activate the ancient pathways, allowing the Church to once again experience what Moses, Elijah, and many other prophets knew. We have seen something very important about those who walk with the greatest mantles is those who also honour Israel and the Jewish people who are the spiritual parents of all believers and the church. As we honour Israel and the Jewish people ~ God promises blessing. In fact, in these last days, those who honour Israel and the Jewish people of the past and of today can also receive God’s promised blessings. The fact that Moses and Elijah appear again in the New Testament of the ‘Mount of Transfiguration’ and again in the book of Revelations point to something that God is clearly trying to get across; Matthew 17:1 – 11 and Revelations 11:1 – 14. Moses carried the laws and ordinances of God which was the beginning of restoring the "Ancient Pathways" back to God, which God says not to forget as we enter into the New Testament. Along with these "keys" would be the power and mantle of Elijah. Moses and Elijah were powerful types of how God wants to continue to operate in His people. Elijah was not just a prophet BUT also moved in the most unusual miracles. The fact that Elijah raised up another to walk in His mantle is also a type that God wanted to highlight and continue through Yeshua (Jesus). How can we, the Church, receive a double portion of what the early Church had if we don’t identify, honour and associate ourselves with Israel and the Jewish people today? During these very difficult days for the nation of Israel, as her very existence is threatened daily, it would require us as believers in Yeshua (Jesus) to STAND firm with Israel in her time of crisis… even when it is NOT popular for us to do so! If we cut ourselves off from identifying with the Jewish people and their inheritance to the land of Israel, we stand to loose that generational blessing and can be cut off from the root of where the blessings began. The blessings came out of Abraham and the Jewish people. As we recognize that we are "grafted in" and have became "a partaker of the root and the fatness of the olive tree" we tap into ALL the blessings from the time of Abraham through to Yeshua (Jesus), the early Church, and today (Romans 11:17). We encourage all our partners to take a strong STAND for your forefather ISRAEL and see the inheritance and blessings come upon you. God is true to His Word. Why is it important that we keep connected and recognize the "Firstborn?" Tradition demanded that the "firstborn" son receive a double portion of the inheritance and blessing of the father. That is why Esau and Jacob fought from birth for the "birthright" until the day Esau sold his birthright and regretted it later. The first to be born into the Kingdom were the Jews. From the Old Testament and in the New Testament, they were the first to receive the commandments to be called His people, to receive salvation and the baptism of the Holy Spirit. As they are the firstborn, God promises some things to them. Isaiah 60 – 62 speaks of the restoration of Israel and the Jews to their land and their God and Isaiah 61:4 -8 speaks of rebuilding the waste lands and God repeats that He will give them a double portion! Which of us does not want this – to live under an open heaven, to revel in an unhindered experience of heaven on earth? At particular turning points of history a window opens and heaven is poured out. God localizes his presence over the life of an individual, a church, a city, or nation in outpoured blessing and power. They are special moments of time when heaven touches earth. Yeshua (Jesus) taught that this is the one true object of prayer when He instructed us to ask, "Your will be done on earth as it is in heaven." What is an Open Heaven? An open heaven can be described as an unhindered manifestation in the earth of all that heaven is, of God’s own presence and glory. Natural laws can be temporarily / permanently suspended as heaven breaks in. Signs and wonders, miracles, healings, revelations and unusual manifestations of power begin to occur…. poverty, sickness, disease… etc, are driven back by the overpowering love of God… and these were experienced by the first church! There are ancient paths that open ancient ‘portals,’ ‘doors,’ ‘gates’ or ‘windows,’ into the fullness of the supernatural and the glory of God. Great men of old like Enoch, Elijah, Adam, Paul and our Messiah Yeshua (Jesus) walked in these ancient paths. What did these Jewish prophets and apostles know that may have been lost? What revelation of the ancient paths did they have that allowed them such communication with God that they could call down the fire from heaven, command rain or shut up the sky or the sun to stand still? There is a parallel world of the supernatural living side by side with the natural realm. Once we tap into the supernatural realm and the revelation of these ancient paths, we will realize it was there all along within our reach. These truths have been embedded in the Word of God but are not always apparent to the casual observer. There are seasonal and geographical ‘portals’ and ‘windows’ that once entered into that will release phenomenal blessings from an open heaven that the ancient men of God knew thousands of years ago. Spiritual Blessing when Heaven opens~ Deuteronomy 28:12, "The Lord will open the Heavens, the storehouse of his bounty, to send rain on your land in season and to bless all the work of your hands." According to this verse our God will open the heavens, to bless us. Rain is equal to blessing. He will pour out His blessing on us in His time. When God opens the windows of His heavens then we will receive a shower of immense blessings that we won't even have the place to receive those blessings as we see in Malachi 3:10 "If I will not open you the windows of heaven, and pour you out a blessing, that there shall not be room enough to receive it." Maybe we were in severe famine till yesterday but from now on everything will change as it happened in the times of Elisha. From 2 Kings 6:25 we come to know that once in Samaria there was a great famine which caused the cost of everything to became very high and was not affordable by the people. Then in 2 Kings 7:1, 2 we see that the Lord spoke through Elisha that tomorrow about this time everything will be sold for a very low price like a measure of fine flour for a Shekel! Then the captain whose arm was supporting the king said to the man of God, "Even if the Lord made windows in heaven, would such a thing be possible?" For which in turn Elisha replied that the captain would see God's Word happening but won't be able to experience it because he didn't trust the Word of God. And the word of God happened and the officer was unable to experience it. A Stairway to Heaven~ Yeshua (Jesus) seeing Nathaniel in the spirit, under the fig tree revealed his inner nature as a man without guile (free of deceit). Despite being stunned by this amazing revelation Yeshua promised him, "You shall see greater things than that…you shall see heaven open, and the angels of God ascending and descending on the Son of Man" (John 1:45 - 51). Here Yeshua is referring to Jacob’s dream in Genesis 28. Falling asleep Jacob saw a ladder resting on the earth with its top reaching into heaven ~ a stairway to heaven. By this means the angels of God were ascending and descending. Yeshua is now the means by which heaven and earth communicate. Through Him heaven comes to earth ~ ministering spirits are sent to men below bearing the commands and comforts of our Heavenly Father. And in turn they bear the prayers and praises of the saints back to heaven. In Christ a divine interchange is now possible between heaven and earth. Some Jewish Rabbi’s believe that when Jacob stopped to rest on his journey, he stopped on the holy ground of Mount Moriah, which would later be the spot where the Temple Mount was built in Jerusalem. This lends to the belief that Jacob’s ladder acts as a bridge between Heaven and Earth. Angelic visitations, dreams, visions, and prophecies are all characteristics of an open heaven. An open and supernatural communication occurs. As Paul testified, "I will go on to visions and revelations from the Lord. I know a man in Christ who fourteen years ago was caught up to the third heaven. Whether it was in the body or out of the body I do not know – God knows" (2 Corinthians 12:2). For those "in Messiah" supernatural encounters are to be expected. And when kairos (right or opportune) moments occur in the life of an individual, church, or even a nation they only increase in their intensity and incidence. We are in such a time! Open windows of visitation occur during turning points in history to increase Christ’s kingdom in the earth… At the commencement of Yeshua’s (Jesus) public ministry He was baptized and as, "he went up out of the water…heaven was opened, and he saw the Spirit of God descending like a dove and lighting on him. And a voice from heaven said, ‘This is my Son, whom I love, with him I am well pleased’" (Matthew 3:16, 17). Yeshua foreshadows a moment in history when the Body of Christ, the church, reaches the fullness of the stature of Christ (Ephesians 4:11-13) ~ maturity. The heavens will increasingly open over the Body of Christ in greater seasons of divine visitation and blessing as it approaches this time. Already through increased manifestations of His glory the Father is beginning to declare, "Hey, this is my Son and this is My church, in whom I’m pleased!" Just as "God anointed Yeshua (Jesus) of Nazareth with the Holy Spirit and power, who then went around doing good and healing all who were under the power of the devil" (Acts 10:38) He will also anoint believers with even greater effect... for He has promised, "greater works shall you do because I go to the Father" (John 14:12). The heavens were also opened when Stephen was killed as the first martyr: "Stephen full of the Holy Spirit, looked up to heaven and saw the glory of God, and Jesus standing at the right hand of God. ‘Look,’ he said, ‘I see heaven open and the Son of Man standing at the right hand of God’" (Acts 7:55, 56). At this the members of the Sanhedrin covered their ears screaming and rushed upon him, stoning him to death… But immediately the church was scattered from Jerusalem through persecution and the word spread into Judea and Samaria. Through an open heaven the Kingdom was increased. When it was time for the gospel to go out to the Gentiles the heavens were again opened. Peter, falling into a trance "saw heaven opened and something like a large sheet being let down to earth by its four corners" (Acts 10:9-23). Through this open-heaven revelation, the door opened to the Gentiles. Peter was shown he was not to declare unclean what God had declared clean. A whole new chapter of God’s purpose for the earth began. There is a promised open Heaven visitation and huge blessing during certain seasons of time on the calendar… which God has set up as divine moments for us. Will we show up to this appointment or visitation with God? God promised to visit His people during specific seasons of time known as the Feasts of God. God opened the heavens in both the Old and New Testament during these feasts (i.e. Passover, Pentecost etc). The same God of yesterday, today and forever will show up in the same and even greater way today. The ‘Three Great Feasts’ are centred on the ‘Three Great Harvests’ of the God of Israel ~ and these are; 1: Passover, 2: Pentecost or Shavuot (or Festival of Weeks) and 3: Tabernacles. They also correspond to three great actions of the members of the Trinity for the church. The fact that God will even restore in the last days the Feast of Tabernacles as He says in the book of Zechariah chapter 14:16, points to the fact that these are seasons we can expect God to visit us! Yeshua (Jesus) even told them to wait for the promises to be fulfilled after His departure in certain ‘seasons of time’ (kairos). Passover or Easter…? Christ told us to keep Passover to remember Him, not Easter. Easter cannot teach the lessons, time tables and symbols that Passover does. P Passover; the Barley Harvest ~ Yeshua, was sacrificed! It appears that celebrating Passover was actually encouraged in the early Church with the revelation that Yeshua fulfilled the Passover now being "the reason for the season." In 1 Corinthians 5:7-8, Paul tells the Corinthians: Christ our Passover is sacrificed for us. Therefore let us keep the feast, not with old leaven...but with the unleavened bread of sincerity and truth. Yeshua, Himself, fulfils the meaning of this feast, being our Passover Lamb. He did not abolish it, but adds fresh meaning and glory to it. The glory of this seasonal ‘portal’ can be opened as it was in the early Church. Even the apostles continued celebrating Passover as Yeshua (Jesus) told them to continue it, and as often as you do this "do this in remembrance of Me." Some misunderstand 1 Corinthians 11:26 which says; "As often as you eat this bread and drink this cup," by interpreting it "take it as often as you wish." But it does not necessarily say that… even though there is power in taking communion anytime. It says "as often" as you observe it (Passover), "you do show the Lord's death till He comes." Even Yeshua commanded, "This do, as often as you drink it, in remembrance of Me" (verse 25). We do it in remembrance of the Lord’s death, a memorial of His death and claim the blessings of His death and resurrection! All throughout the Bible there is a supernatural exchange of things that took place when the people of God made it a point to honour the time and seasonal ‘portal’ of Passover. Though we know that we can claim these blessings at anytime, the Bible does tell us to "keep the Feast (Passover)" as something extra special is to be released during this season. Just as the P Feast of Pentecost; the Wheat Harvest was initiated by God with the ancient Israelites, we too, having been grafted in by faith in Yeshua (Jesus), are God's people and are invited to His party and His Feasts as they continue on in the New Testament with even greater glory and power released! In fact, the disciples continued to celebrate Passover at the Feast of Pentecost as the Believers worshipped and prayed together, and the seasonal portal opened up again. There was nothing legalistic or religious about the day of Pentecost, just pure glory, love, power, authority, visitation and harvest! Sounds like a Holy Spirit party! P Rosh Hashanah (the Jewish new year) ~The Feast of Trumpets ~ "The Fruit Harvest" (Leviticus 23:23 – 25) (Yom Teruah) was a prelude to judgment. On the seventh New Moon of the festival year, the trumpet sounded to call the people to prepare for the approaching Day of Judgment, on the great Day of Atonement when the books will be opened. 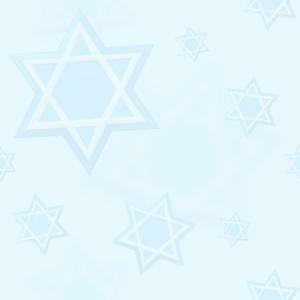 Rosh Hashanah, is both the end of the Jewish festival calendar, AND the beginning of the Jewish civil calendar year. It is the New Year under the civil calendar. So, this marks both the end of the old and the beginning of the new. Similarly, we see in Revelation 10: 6 - 7, the reference to the end "time shall be no more" occurring "in the days of the seventh Angel’s Sounding." This is a correlation to the seventh trumpet and the beginning of the new year of Christ’s eternal Kingdom. P God’s plan of salvation for mankind is summed up in these feasts, which relate to Israel's agricultural seasons and therefore fall into three clusters; The Spring and Summer Feasts typify the inauguration of redemption while the Fall Feasts its consummation. 1: God will assign an angel to you. 2: He'll be an enemy to your enemies. 3: He will give you prosperity. 4: He will take sickness away from you and your family. 5: He will give you a long life. 6: He will cause increase in your life. 7: He'll give a special year's blessing.